However, when it comes to the matter of numbers, Lilly remains pretty vague. In his nearly 1500 years earlier Carmen Astrologicum, Dorotheus explains a completely different method in order to see, how many children a native will have. He does not use the houses nor makes he any distinction between barren or fertile planets, but he uses instead Jupiter’s triplicity rulers and their aspects. For Dorotheus, Jupiter was the greater benefic and children “a heaven’s gift”, so they were associated to him. His technique consists, briefly, in taking the stronger of the two principal triplicity rulers, see where it is located and then count from that sign in zodiacal order until the AC. He is somewhat unclear about how to count exactly, but my understanding is, that if the triplicity ruler is positioned above the horizon, we count from that sign towards the AC. When the ruler is beneath the horizon, we count from the AC to that sign (which is always in zodiacal order and anticlockwise). If these signs have two bodies, then double it. If you find the indicator of the matter of children in the AC or MC or in the sign of fortune, then he will be blessed with children by his youth. If it is in the second from the AC or in the sign of wedding, or in the 8th sign or the cardine under the earth, then children will be born to the native at his middle age. All these examples are from persons I personally know. 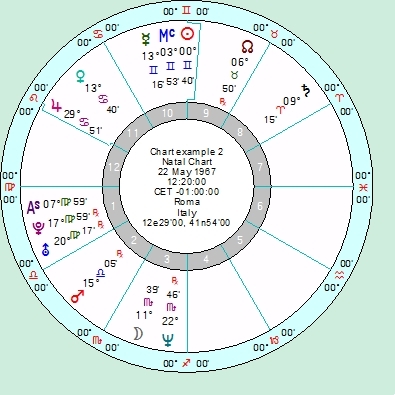 In this first example, we see a night chart. 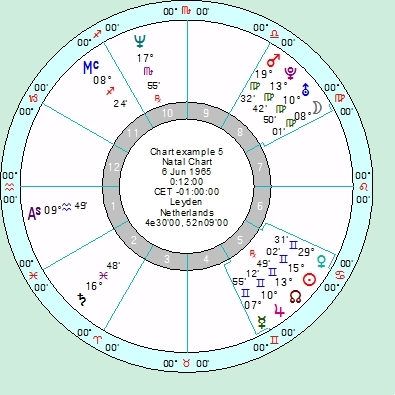 Jupiter is in a fire sign, thus triplicity rulers are 1) Jupiter 2) Sun. Jupiter is in his own triplicity and in a succeeding sign. As he is stronger than the Sun in Scorpio, he is the planet from which to count to the AC in zodiacal order. The signs between Jupiter in Aries and the AC in Virgo are Taurus, Gemini, Cancer and Leo. This makes four children. The native has five. One of the signs between AC and Jupiter is a double-bodied, so we add another child. This matches with the natives true number of kids. This woman has two kids. Let’s see how this shows up in the chart. Jupiter is in a water sign, and her triplicity rulers are 1) Venus 2) Mars. Venus is stronger. As Venus is in Cancer, and the AC is in Virgo, there is only one sign between them, which would indicate one child. But the presence of Jupiter increases the number, so we see 2 kids. 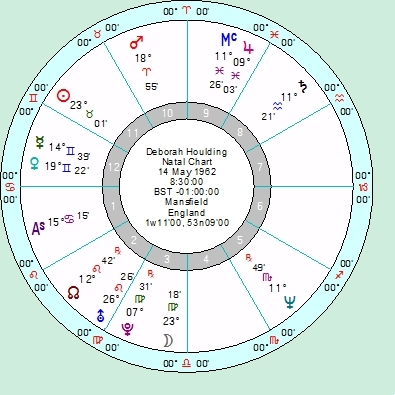 This is the chart of the well known UK astrologer Deborah Houlding. 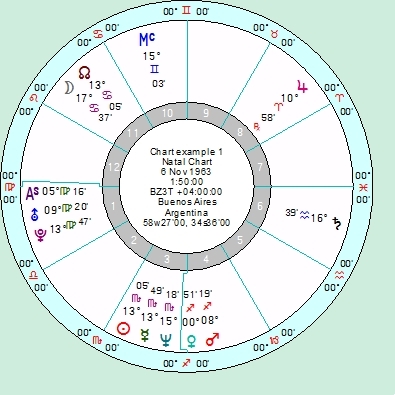 Her Jupiter is in Pisces on the MC. 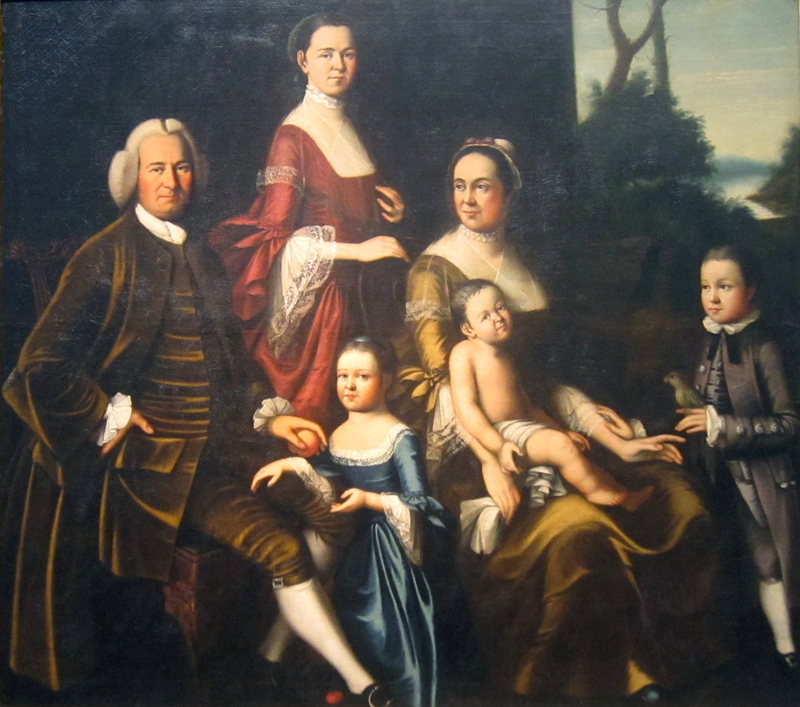 Following Dorotheus, this position describes 4 children, which in her case holds true. This woman has her Jupiter ins Gemini, and his triplicity rulers are 1) Saturn 2) Mercury. Mercury is the stronger planet and the signs between Mercury and the AC are Cancer, Leo and Virgo, which makes three. But there is Mars in the middle, so we subtract one. I am not sure if this woman had an abortion, but I know for sure, she had only two kids. 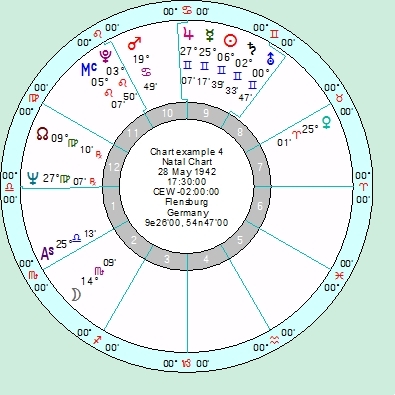 This is a nighttime chart and Jupiter is in Gemini. His rulers are 1) Mercury 2) Saturn. Mercury is stronger. In this case we count from the AC to Mercury and find Pisces, Aries and Taurus, which makes 3 kids. In the middle is Saturn. This woman did have an abortion, so the indication is two, which is true. These are just four chart examples, which all prove the technique of Dorotheus. 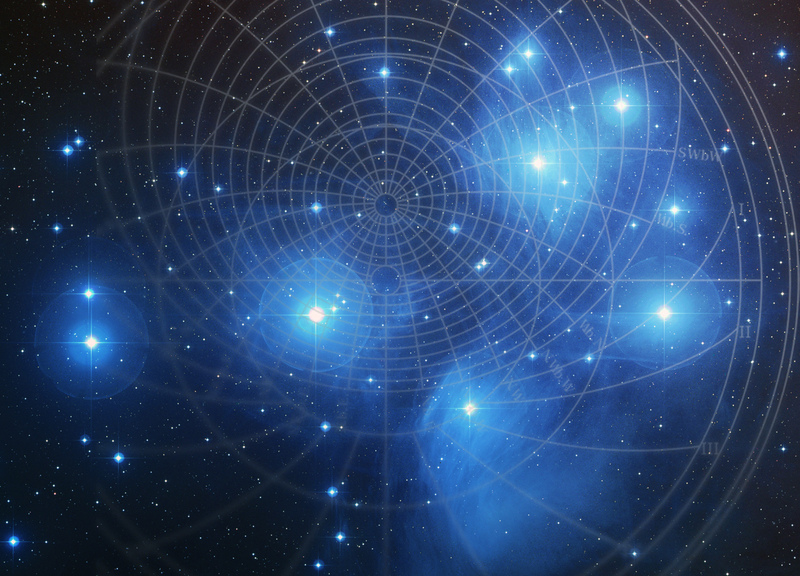 There will be more research to do about this argument, but I hope this article will lead other astrologers to consider this theory and check its reliability. Mercury is judged as “indifferent”, as it asummes the qualities of the planets close to it. Fascinating! Wonderful work and thank you for the demonstration of the technique.